NAB 2019 begins this weekend and exhibits open to the public on Monday 8th. One of the big talking points this year I think will be DaVinci Resolve 16 and hopefully we will see a big swing away from Adobe Premiere for editing as a result. Adobe will also unveil updates at NAB but I am uninterested, as I really do think their reliability isn’t fit for pro work any more, or any kind of work for that matter. On the camera side it looks a bit quiet so far. Canon confused us all with the EOS R external RAW recording tweet, but it’s entirely possible their reps don’t know the difference between external HDMI recording and RAW any way. One camera I think is REALLY needed is a $2k Pro version of the Blackmagic Pocket Cinema Camera 4K that adds a few more GH5-like features, such as in-body stabilisation, EVF and articulated screen, along with a larger grip that contains 3 Panasonic GH5 batteries rather than one out of date Canon DSLR battery in the current model. I would happily pay more for these features as we almost take good battery life and good stabilisation for granted on mirrorless cameras not to mention an EVF. The Pocket 4K is really a $2k or even a $3k camera any way once you add this stuff onto a cage, and not a very ergonomic one at that. One of the fun things to do before the show opens to the public is to trawl Twitter for photos posted by exhibitors setting up. 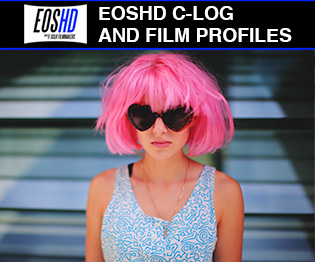 Many a scoop has been leaked to the filmmaking community this way in years gone by! Banners for a new Blackmagic camera, half-covered advertisements and all sorts. Nothing has gone and leaked yet but keep looking, especially at the EOSHD Forum NAB topic where my spies will be gathering intelligence. Sony and Panasonic have press conferences tomorrow on 7th April. 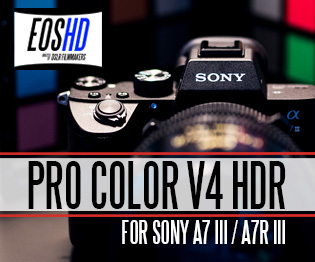 I don’t think we’ll be seeing an A7S III or GH6 yet. 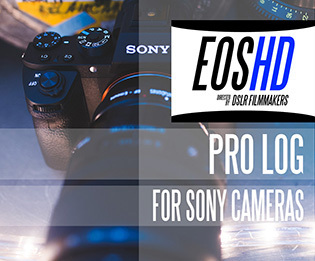 I think the development is quite protracted for these cameras due to Sony wanting to add a built in ND filter possibly similar to the electronic one on the FS5, maybe even along with an 8K sensor. Panasonic are focussed on the S1 and S1R at the moment, with the GH6 still about a year away by my reckoning because the GH5 is still selling well and doesn’t look out of date in the slightest. It would be nice if Panasonic can fix their autofocus though or even improve it with another firmware update as the Olympus E-M1X has Sony-like phase-detect AF that demolishes the GH5 in 4K. It is the best Micro Four Thirds camera on the market for AF in video mode and now has OM-LOG along with superb ergonomics. I’ll be bringing out my review of that in the next few days. 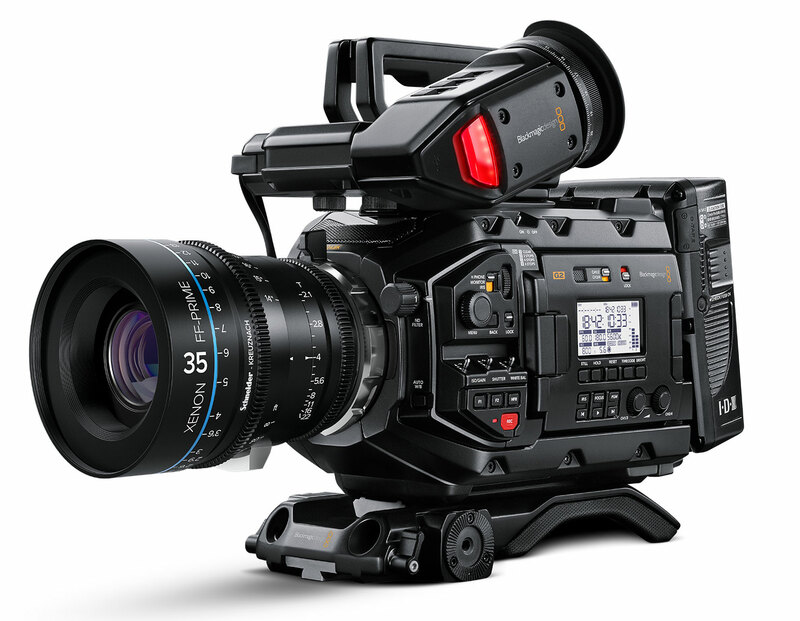 It would be good if Panasonic could finally announce the pricing of the full frame S1 V-LOG / codec upgrade at NAB. Sharp is expected to tell us more about the 8K pocket cinema camera that uses a Micro Four Thirds mount. I am not expecting it to be cheap! Sharp talks about adding products (plural) to their Micro Four Thirds line-up and have officially joined the consortium. Interestingly in their statement Sharp say “Olympus will continue to develop and enhance the product line-up to meet the diverse needs of our customers” but don’t say Panasonic will. Maybe Sharp need reminding that Panasonic remain fully committed to Micro Four Thirds and are bringing out the 10-25mm F1.7 zoom which hopefully we’ll hear more about at the show. 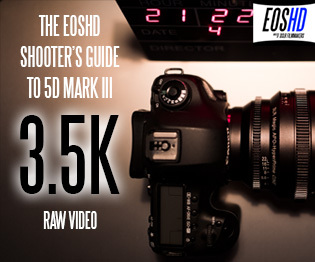 This lens on a GH6 or E-M1X with great AF could be a run & gun stalwart for years to come. Anybody remember Convergent Design? I am at a loss to explain how little new they have brought out since the Odyssey 7Q whereas Atomos have made all the leg work with ProRes RAW and mirrorless cameras. 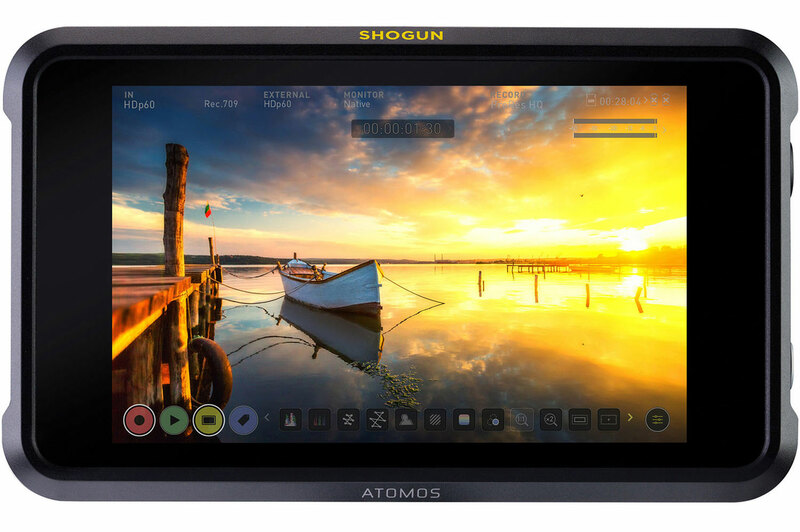 The Australians have announced the Shogun 7 ahead of NAB. 15 stop dynamic range 7″ HDR display with incredible brightness and clarity outdoors. It has a DolbyVision enabled output so you can stream recorded material directly to an OLED monitor or TV. 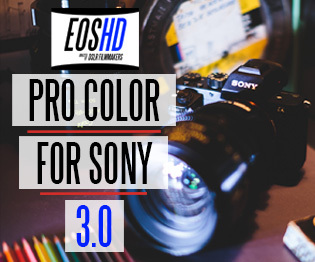 This is ProRes RAW equipped so will be nice with the Nikon Z6 and the price is competitive at $1499. The form factor is very much ‘as you were’ and will please pros and users of larger cameras I’m sure, but there’s no weather sealing, internal battery or ergonomic innovations to the form factor still after all these years. 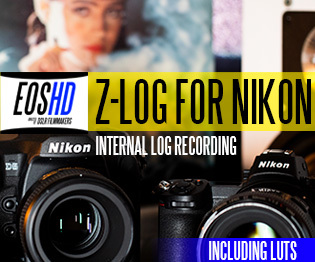 With mirrorless cameras I am still waiting for a much slimmer and lighter recorder (or even just a monitor) which uses a smartphone form factor without the need for an old fashioned Sony NP battery on the back or thick bezel. Eventually in future times we might even have the wireless bandwidth to transmit enough data from the camera for ProRes RAW without a wobbly HDMI cable. In the here and now though, if recorder and camera manufacturers really banged their heads together I am sure they could come up with a battery grip for a mirrorless camera that had enough juice to power a slim Atomos recorder with 5″ OLED all day via USB C so that the internal battery would just act as back-up. Then the weight of the battery is down-low and concealed in a nice weather sealed ergonomic grip fully integrated with the camera. They also need to find a way to get rid of HDMI as a recording interface when it was never designed as one, using instead USB C via locking smart-shoe interface or even a cage, with wiring and connection points concealed within the modular structure of the cage. It does all that in Blackmagic RAW as well and G2 pricing start at $5995.